There is such a contrast between Toronto’s skyline and that of Chicago’s. Although I must admit I do like that both flank Lake Ontario and Lake Michigan respectively. Toronto’s skyline encompasses much more glass and steel, whereas Chicago’s is eclectic with old and new structures and everything in between! I took this picture during the holidays in December of last year. This is part of Toronto’s Harbourfront. 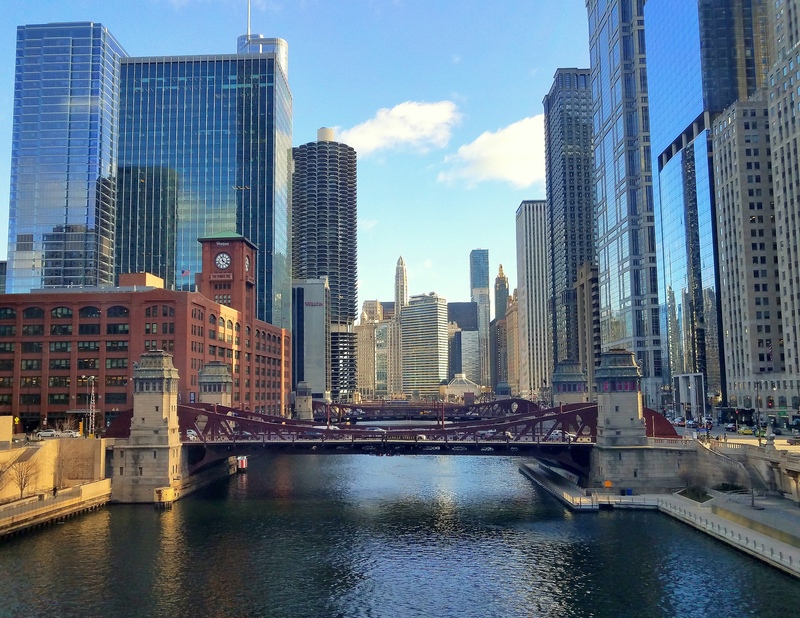 Here in Chicago we don’t have an actual, “Harborfront” per se; however, there various ways that boats get to and from Lake Michigan (via the Chicago River, and various inlets as well). I hope your Monday is happy and sailing along quite nicely! Reminds of similar shots i captured last year of Toronto Skyline. This view is beautiful. I think you enjoy the great ships. Great picture! You should have driven a little further to visit me!